The previously announced partnership between Nintendo and Universal theme parks is finally starting to blossom. 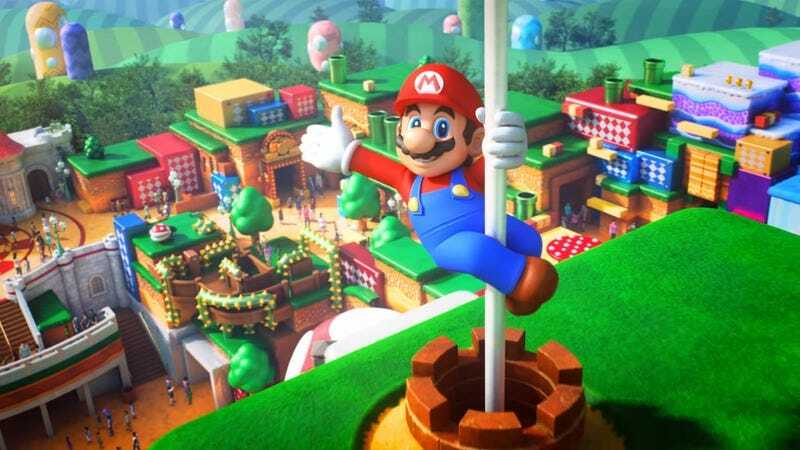 After a few years of vague updates, the two companies have officially broken ground for the new Nintendo-themed area within Universal Studios Japan, and they celebrated with a short, adorable ceremony starring Mario and Shigeru Miyamoto. This comes just a day after Universal published a new concept video that, while obviously more fantastical than the final theme park itself, gives us an idea of what the area—now being called Super Nintendo World—might look like. If this concept actually comes to light, it appears to be borrowing a blocky, tiered aesthetic reminiscent of Super Mario 3D World. A few notable castles can be seen as well, with Peach’s pink-roofed abode standing opposite Bowser’s imposing fortress. As far as the attractions go, the only thing announced so far is a Mario Kart ride that Universal Japan says will use “the world’s most advanced technology.” Bowser’s Castle is a classic location that has appeared in every Mario Kart game, so it’s certainly possible that it’s being housed inside the Koopa King’s bastion. Previously uncovered patents from Universal Studios also hinted at the appearance of a Donkey Kong Country-inspired minecart ride and a high-tech mat-based water slide, the latter of which could conceivably fit in the icy building next to Bowser’s Castle and make for a nice throwback to Super Mario 64. There’s still a long way to go before Super Nintendo World is actually done. Universal hopes to complete construction in time for the 2020 Tokyo Olympics. Once that’s open, the company plans to bring similar Nintendo-themed areas to both Universal Hollywood and Orlando.